Haus of Fashion: Two New Shapes @ . 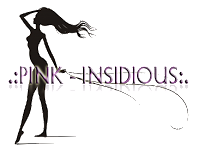 :pink - insidious:. Two New Shapes @ . :pink - insidious:. Plus a free in-store gift! Wouldn't You Want a Secretary Like This? Princess Mode @ . :pink - insidious:. Skea - Ming (Scheming) Shape gift!
. :pink - insidious:. Newest Faces! Turn Ya Black N Blue!